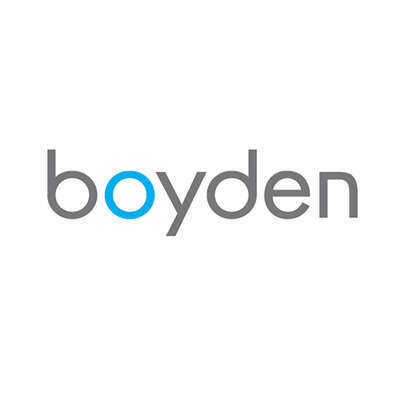 Boyden Expands in Washington D.C.
Top executive recruiters Karen Edwards and Craig Stevens join Boyden in Washington D.C., expanding our C-suite and board recruitment capabilities. Washington, D.C., April 16, 2018 – Boyden, a premier global talent advisory and leadership solutions firm, today announced that Craig Stevens and Karen Kosiba Edwards have joined the firm’s Washington, D.C. office as Managing Partner and Partner, respectively. Stevens, who has over 25 years of experience in retained executive search and management consulting, will focus on CEO, C-suite and board recruitment for social impact, aerospace and defense, technology, and business services organizations. Edwards, who possesses extensive expertise as a financial services executive, federal regulator and talent acquisition advisor, will focus on the global asset management, banking, venture capital, risk management and real estate sectors. Prior to Boyden, Stevens established and grew a boutique executive search practice with international reach and offices in Dallas and Washington, D.C. Earlier, he served as Principal of another leading global executive search firm. Stevens began his career at KPMG, where he served as a Manager in Management Consulting. Edwards has served as a Director at an NYSE-listed commercial mortgage REIT. She was President and CEO of financial and strategy consulting firm Kosiba Edwards Associates, COO of New Vantage Group, and Managing Director and Co-Founder of Friedman, Billings, Ramsey & Co.’s investment banking group. She has also served as a consultant to the Chinese government and ICBC, the country’s largest bank. Stevens holds an MBA from George Washington University. He has been a Member, Executive Committee of the Board of Directors, Technology Council of Maryland. Edwards holds a bachelor’s degree from Carleton College and an MBA from the University of Virginia’s Darden School of Business. She is fluent in English, French and German.